A talented musician, Volkan Incüvez, started learning Guitar already in high-school, and he learned to play the Ney (the reed flute) with Kaşif Demiröz at Ege University Conservatory. Improvisation with elements of traditional Turkish music let Volkan develop his own style of playing. 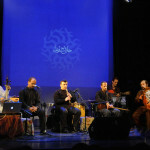 The group «Hallâjvashân» led by Mâm-LI Merati – is the fusion of traditional Persian music and Kurdish songs, performed with Kurdish, Persian, Armenian and Spanish musical instruments. Mâm-LI (Mohammadali) Merati is a composer, a multi-instrumentalist and a sound engineer. He has played his main musical instrument – the Kamancha, for 20 years. 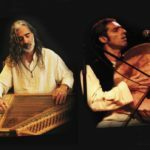 the founder of Bustan Abraham ensemble, a Qanun player, the ancient 90-string ancestor of the piano. 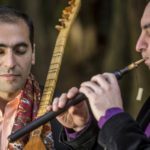 Avshalom plays the Qanun in an unconventional manner, exploring a wide range of musical influence from the East and the West. one of Israel’s top percussionists. He was among the first ones, who began to explore rhythms and music of the Mediterranean. His style of playing is recognized by wide sounding range and intensive musical culminations. is a virtuoso of the Duduk. Vardan Hovanissian learned Duduk under the guidance of a master instrumentalist Khatchik Khatchatryan. Having grown up on traditional Armenian music, he improvises with music of various countries at whim, combining folk and jazz rhymes. In the Gültekin family playing music is as natural as breathing. Born in 1980 in La Louvière (Belgium), Emre discovered music thanks to his father Lütfü Gültekin. Today Emre Gültekin is an accomplished artist in his own right, engaged in many musical projects and interacting with diverse influences. Graduated Emils Melngailis Liepaja Music Secondary School. 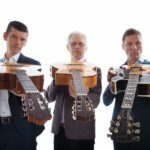 As a professional guitarist he played in such Latvian groups as “Suvenīrs”, “Tip-Top”, “Modo”, “Opus”, “Remix”, as well as in Raimonds Pauls’s band and Laima Vaikule’s group. Aivars cooperates with Latvian State Symphony Orchestra, Liepaja Symphony Orchestra and Russian State Radio and Television Symphony Orchestra. He has performed with different groups in Russia, Belarus, Lithuania, Estonia, the USA, Canada, Germany and many others. He has accompanied and arranged music for motion pictures and TV programs, taken part in musical album recordings and written over 100 songs and instrumentals. A graduate of Janis Norvilis Madona Music School with piano specialization. He continued his learning in Contemporary Rhythm Music program at Riga Dome Choir School. Continuing his self-improvement Marcis studied under the well-known teachers: Reineer Baasun Van der Grinten in Amsterdam, Dannish composer and guitar player Christian Frank, Dave Liebmann and others. 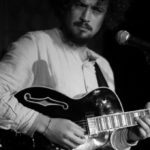 At present he performs live with such artists as Amber, Janis Stibelis, Intars Busulis, Laima Vaikule, Raimonds Pauls, Kazha, Juststone and some more, as well as in the groups City Jazz Big Band, Twin-Town, Funk Theraphy, Deniss Pashkevich Quartet. One of the Latvia-wide known masters of acoustic guitar. Kaspars is a musician in-demand, who improvises at whim with different styles. He played in the legendary group “Time after time”, accompanied at Linda Lin’s, Intars Busulis’s and Renars Kaupers’s performances, and performed with The Latvian Radio Choir and the State Academic Choir “Latvia”. A famous guitarist and a prize-winner of the World Guitar Fiesta in Berlin. Valerio graduated the Gnessin Russian Academy of Music (Moscow). A talented virtuoso – a trumpet player, a winner of many Jazz festivals, has been working with the Flamenco ensemble for many years, and has a fine appreciation of all the colours of Oriental music. A guitarist, graduated Kristine Ireen Flamenco Academy in Seville. Born in Peru. She has masterly learned to play the Cajon – a percussion instrument.